Today we head to a forgotten outpost near the harbour, a place where for a short, frenzied time they were selling 10,000 cases of genuine Canadian lager a day. 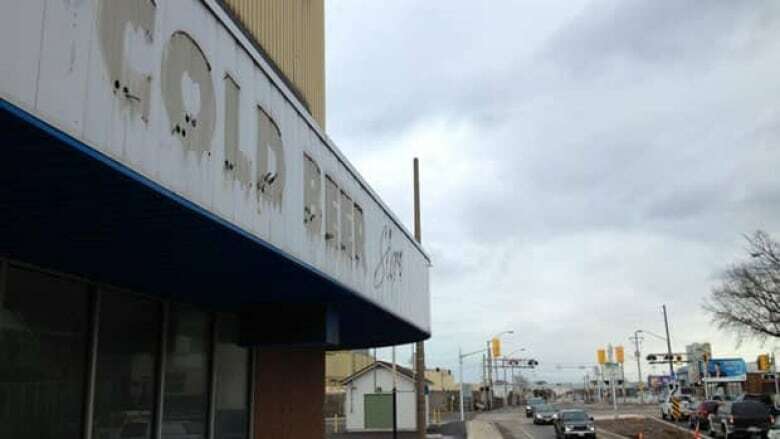 Can there be a sadder Sign Past Its Time than the one on Burlington Street East that says Cold Beer Store? So much history. So much beer. So sad an ending. It all began just after the war, when Hungarian immigrant Andrew Peller decided Hamilton needed a brewery. To build it, he signed over everything he owned, including his house. He put up a thoroughly modern brewery, with big windows so that the world could see his 6,500-gallon polished-copper vats. You couldn’t advertise beer in those days, but Peller found a creative way around that. He opened an ice company on the premises. Billboards and his delivery trucks carried the message – Don’t Forget The Piller’s Ice. But that last word was nearly transparent. 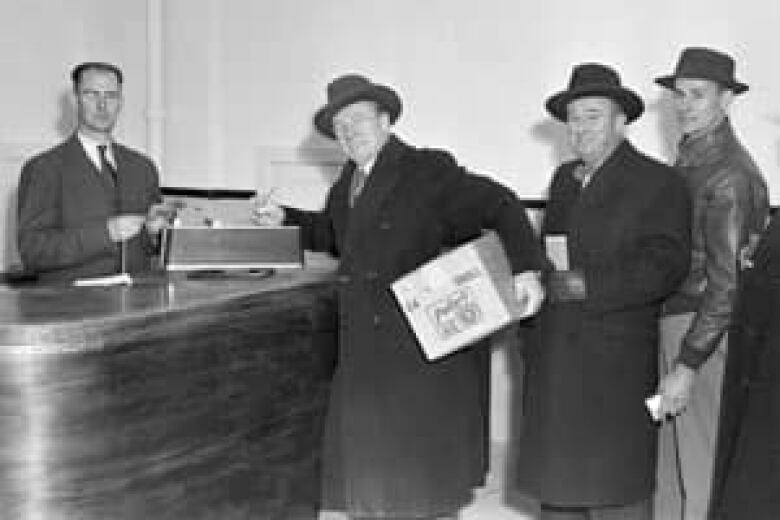 There was another funny rule in those days: In Ontario, you had to sign for every purchase at the beer store. It slowed down the lines and left great stacks of useless paper slips floating about. Hamilton MPP Arthur Child got the long-standing sign-for-your-beer rule tossed out. "You can buy up to 10 cases a day and no identification is required," he told the legislature in 1955. "If you wanted to sign your dog’s name, I imagine you could still get a fairly large quota." The brewery on Burlington was big news in the Hamilton Spectator – and all over southern Ontario – in March of 1985. Around that time, Peller sold to Brading Breweries, and he moved into the wine business. Anybody remember Baby Duck? Meanwhile, Brading got swallowed by Carling, which closed the plant in 1960 and moved production to Toronto. For 12 years, the Port Authority used the building as a warehouse. Then along came Henninger of Germany, and there was beer on Burlington St. again. In 1981, Henninger sold to Amstel. The Amstel brand was billed as "the Canadian lager with the Dutch touch." Other labels from the brewery: Steeler, Laker, Hamilton Mountain, and Grizzly, which Americans loved. 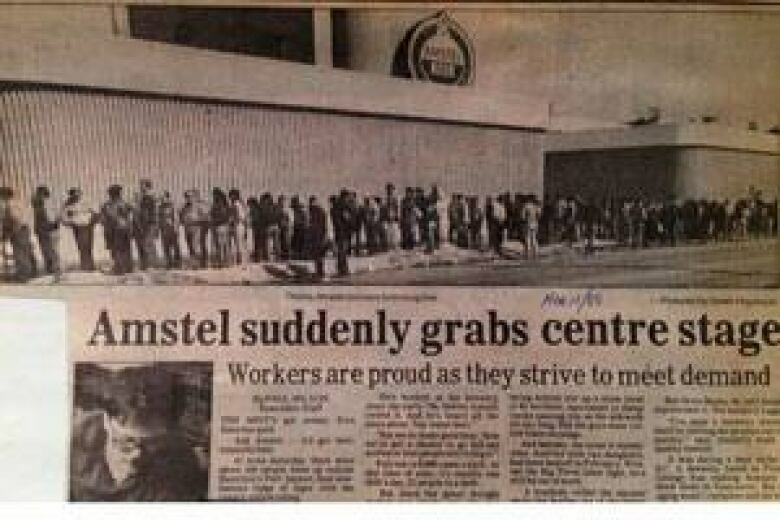 In March of 1985, Amstel was at centre stage. A lockout had paralyzed Ontario’s Big Three – Molson, Labatt and Carling O’Keefe, which together sold 98 per cent of the province’s beer. Amstel became the busiest beer store in Canada. Sometimes there were 500 people in line. Many had driven for hours. Amstel figured labour problems were looming, and had ramped up production. Normally it sold 200 cases a day at its beer store. During the frenzy, it was selling up to 10,000 a day, a 50-case limit per customer. Said one cop on crowd control: "It’s like they’re handing out gold." Sadly, the lockout ended before the month was out and the big brewers snatched back their market share. The Lakeport sign went up in 1992. They had one law on their side in those days. The Lakeport beer store could open on Sundays, while all the other beer stores in town were closed. Line-ups on the Sabbath were sometimes two hours long. Hot dog vendors loved it. Lakeport did four times more business on Sundays at that store than on the other six days combined. That all ended late in 1997, when Queen’s Park decided to let beer and liquor stores open on Sundays. 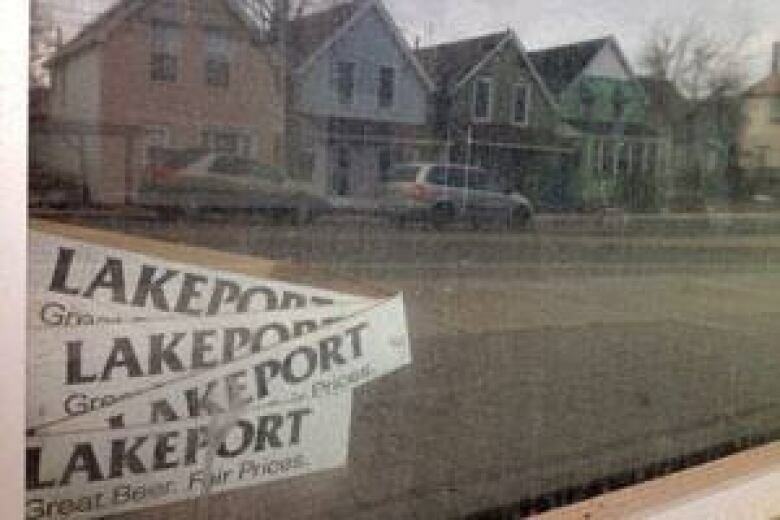 But right across the province, Lakeport was getting good traction with its buck-a-beer strategy. So good that Labatt (owned by Anheuser-Busch InBev, world’s largest brewer) decided in 2007 that they should be buying up Lakeport. It was a $200-million takeover. And nearly three years ago, on April 16, 2010, Labatt shut down the storied beer store on Burlington. It moved production to London. Labatt knew it looked bad and tried to placate the Hamilton community. It had two years left on the lease of the brewery property from the Port Authority. 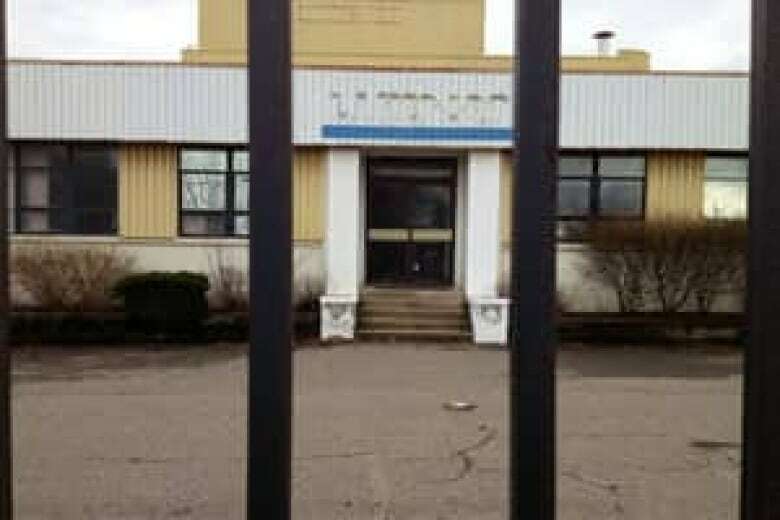 Labatt offered to keep paying the rent and taxes for those two years on behalf of any suitable company that moved in – but it couldn’t be a brewery. That sweetener was worth $90,000 a month, or about $2 million in all. It didn’t work, though. Bermingham Foundation has leased 50,000 square feet at the rear of the property. However, 287,000 square feet of the former brewery – the size of nearly three Home Depots – remain empty. The property has direct marine access and is available for lease. The brewery days, though, are well and truly done. Locals pleaded with Labatt to leave the production equipment so that perhaps a craft brewery could locate there. But Labatt’s last act was to strip the place clean. A Sign Past Its Time pops up every now and then on CBC Hamilton. If you’ve spotted an old sign that needs its story told, do let me know. Read more CBC Hamilton stories by Paul Wilson here.